Billions of 17 Year Cicadas are Coming! 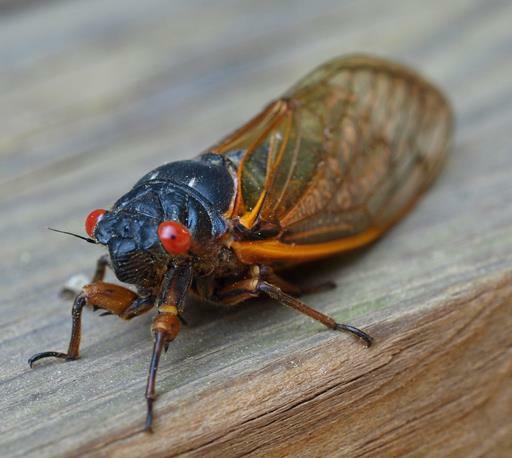 Billions of so-called “17 year Cicadas” are about to emerge, primarily from the North-Eastern United States soon. That’s right, billions. No word yet on if the Cicada invasion will affect Torontonians, but given Toronto’s proximity to New York/North Carolina, the main area to be hit by this invasion, we could very easily see a portion of the swarm as well. For the uninitiated, Cicadas are devilishly disgusting creatures (see image, left) that cause virtually no harm to humans, and yet I hate them so. You know that buzzing sound you hear all summer long? Yeah, that’s them. It’s not a particularly annoying sound, although it is quite loud. They make that noise just to let you know they are there, lurking. Cicadas are known to live underground as nymphs for most of their lives — sometimes as long as 17 years, as is the case with the “17 year Cicadas”. This particularly cohort stays underground longer than any other and when they emerge, they do so by the billions. The BBC video embedded below provides a great background on these disgusting and yet, amazing, creatures. Cicadas are also known to be eaten around the world — their popularity likely comes from the fact that they are in plentiful supply and are so big they can quickly make a full meal. Of course, I cannot even begin to understand how people could eat such a thing but such is the diversity of human life! So when you hear that persistent buzzing sound this summer, you will now understand what is making that noise. Perhaps you wish not to have been told.